You’d think this would be easy to explain. 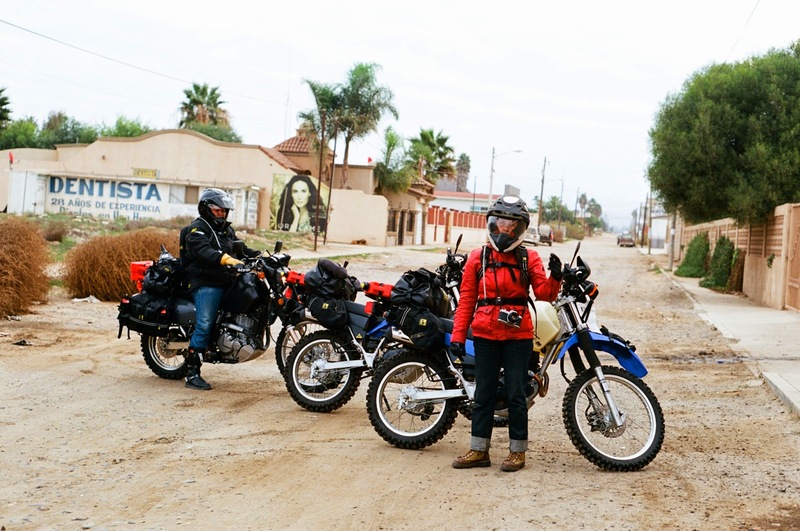 You’re interested in “adventure motorcycling,” some of that ‘travel the world with only what you can carry’ stuff that everyone in the motorcycle industry is talking about. You want to explore the unknown aboard your bike - camping, cooking and living ‘the Good Life’ along the way. But what kind of “stuff” is essential? 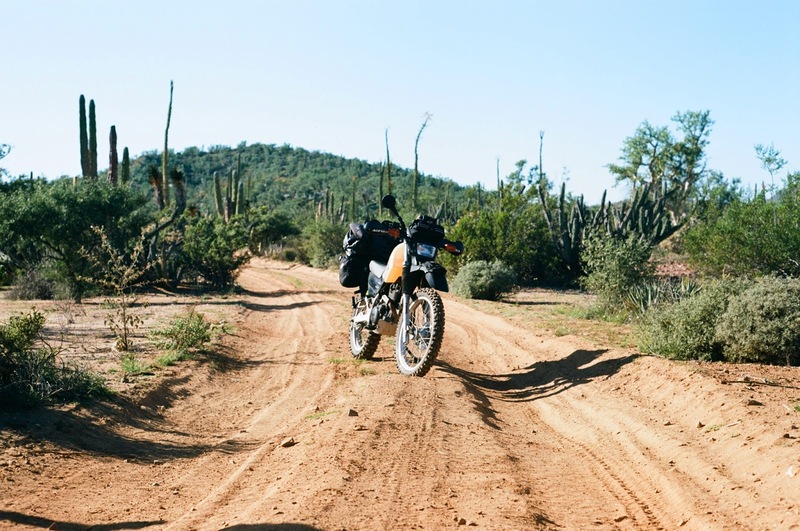 A motorcycle, yes, but what else will you need to start exploring? 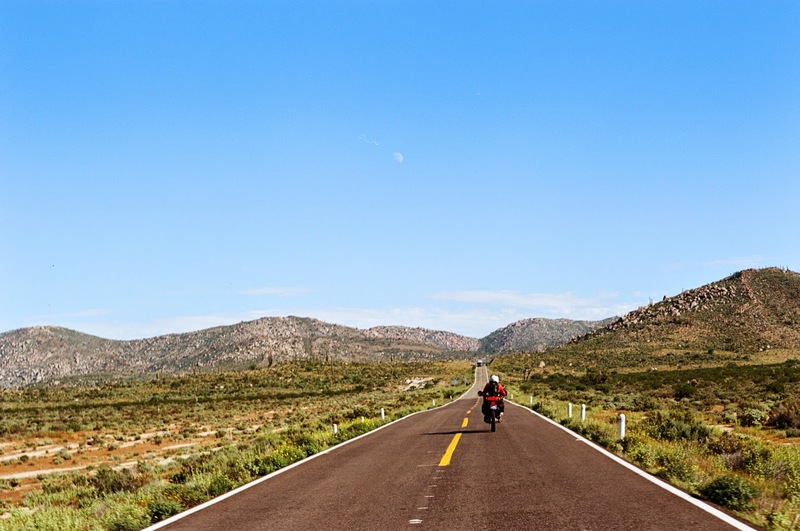 Well we’re here to help, offering you - the entry level adventure motorcycle enthusiast - an easy guide to the gear, gadgets and other accouterments you’ll need to get going. Whichever bike you decide to buy, there are a handful of items and accessories you’ll need to ensure a safe journey, as well as carry your crap to and from. Additionally, a bike that is easy to work on, affordable and off-road oriented is essential. Something a shade tree mechanic might be able to fix if necessary could save you one hell of a headache, as well as quite a bit of cash. And riding a bike with plenty of ground clearance, a decent suspension system and 50/50 dual-sport tires will allow you to disappear down Forest Service roads. Petrol Power: Fuel Range is important on so many levels. For a big trip with big miles, upgrading the tank can save you trips to gas stations and the fear of getting stranded in the middle of B.F.E. 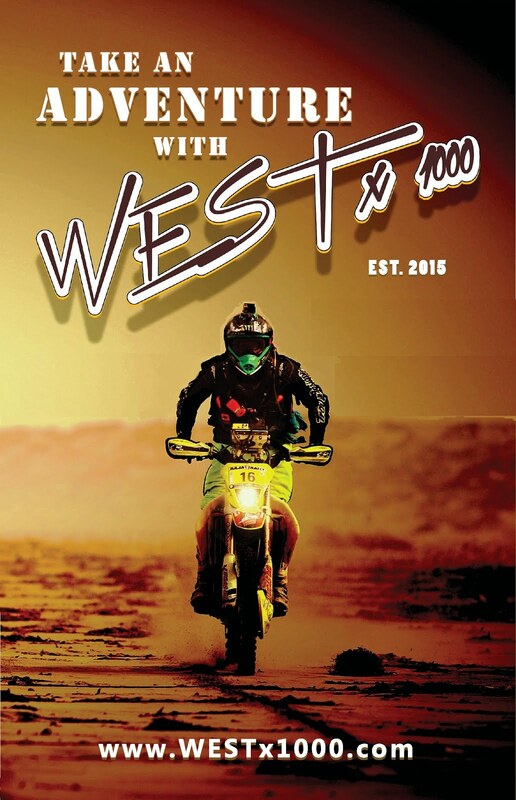 Companies like Clarke Racing, IMS, Acerbis, Touratech and JustGasTanks (.com) offer larger fuel tanks for most dual-sport and adventure motorcycles. Protection: An aluminum skid-plate, hand guards, headlight guard and engine crash bars (if available), as well as folding mirrors will allow you to confidently “lay ‘er down” and still get home safely. Depending on what you’re riding, there are number of companies that produce the aforementioned protection parts for your motorcycle. Luggage: Lastly, you’ll need to tote your “stuff.” To do so, having the right luggage will affect the distribution of weight on the bike, your center of gravity and the percentage of “wet” versus “dry.” That said, Wolfman Luggage outfits a wide range of dual-sport and adventure motorcycles with soft luggage and dry bags. 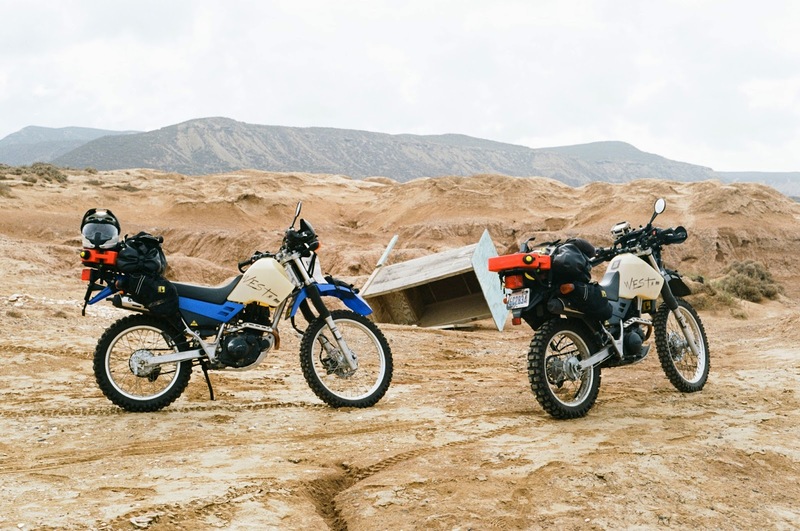 Touratech, a German company, manufactures aluminum luggage that is both water tight and secure for almost every full-sized adventure motorcycle. You already know you need to wear gear while riding - ATGATT, etc. But some people forget the small (albeit important) stuff, like the right pair of gloves for the condition, and boots that offer ankle support, a sturdy sole and overall protection. Adding this stuff to a jacket-and-pant combination that is armored (think: D3O), waterproof and vented can save you quite a bit of skin… and bones. ICON manufacturers a variety of (affordable) riding gear for ADV enthusiasts, to include their ICON 1000 line, which is what we’ll be wearing in Baja. 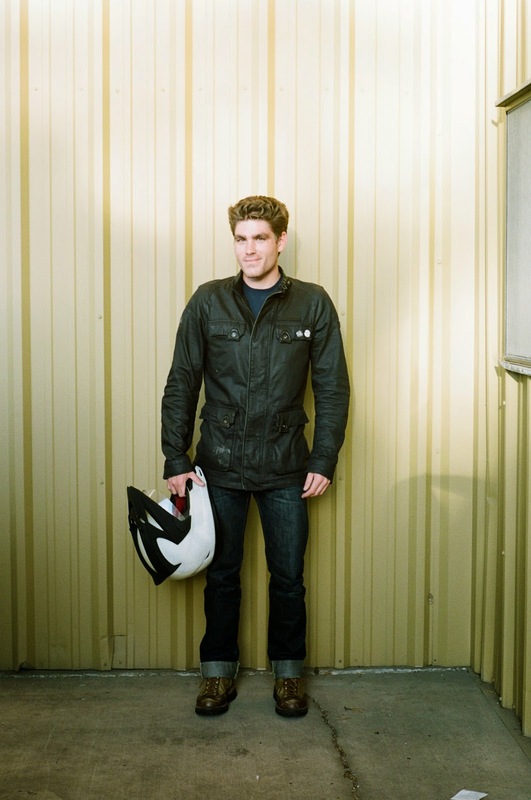 Iain Glynn, an established off-road racer, GS Trophy competitor and die-hard ADV enthusiast offered this advice when I asked him which tools to take on my upcoming month long trip into Mexico: Disassemble your motorcycle as much as you’re comfortable with, and then take the tools that you used to do so on your trip. It’s best to replace the factory tools that look weak or damaged with quality options. You can always carry extras but it’s best to start with a good foundation and add some (necessary) frill. Irons, Etc: Tire Irons, a patch kit, a valve stem snake, Co2 (for a quick fill), and a tire pressure gauge don’t take up a lot of space or add much weight. If you’ve ever changed a tire – especially on a smaller dual sport with old stock tires - it can be a huge pain. These are things that can be carried with little hassle that make a world of difference. Grips & Wrenches: An appropriately sized Crescent Wrench along with a pair of Vice Grips is essential for any motorcycle adventure. Loosening an axle nut bolt, creating a make-shift lever, bending, breaking, banging, as well as an assortment of other Neolithic activities, are made all that much easier when you have the proper grips and wrenches. Some of the spares you’ll need to carry on your adventure are obvious. Others aren’t. If you’re riding a motorcycle with a 21” front wheel and an 18” or 19” rear wheel, all you really need are some spare 21” tubes. In the event of a pinch flat or puncture, you can stuff a 21” tube into either the front or rear wheel and ride out safely. It isn’t optimal, but a 21” tube is considerably smaller than the others, and will snake around inside the tire, offering you enough air and traction to get somewhere safely. Here’s where the patch kit we mentioned in the tools section comes in handy! 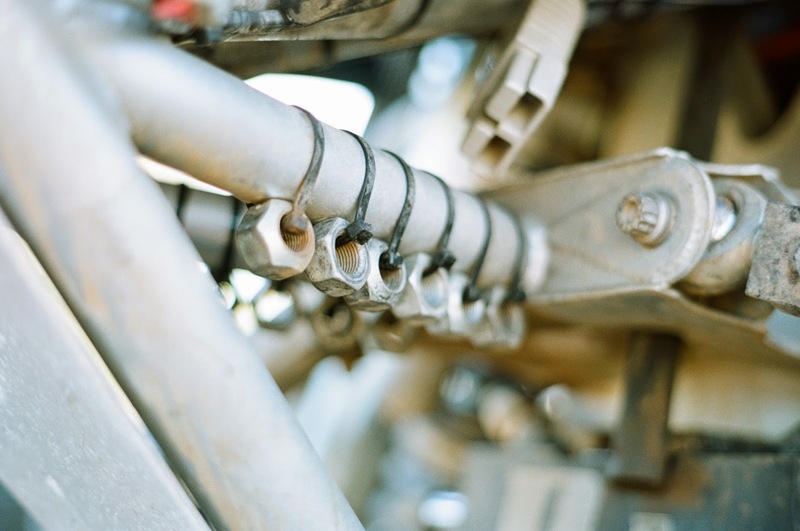 Most motorcycle dealers will have what is often called a ‘Track Pack’ available for your bike. What is essentially a small box full of nuts and bolts, a Track Pack is an essential for anyone on an extended adventure, as you’ll undoubtedly need a random nut (or bolt) at some point. It can be an investment, but a solid GPS unit takes you to the places you want to go with the ease of a “Power On” button. Where maps are fool-proof and battery-proof, a GPS unit creates play-by-play navigation without memorization or distraction. Plus, it tells you the time. Security: GPS units can cost quite a bit of coin, and if you’re off the beaten path or parked somewhere precarious, theft can be an issue. It’s best to secure your GPS unit with one of Touratech’s vibration dampening, locking mounts. They can be keyed to match all of the other accessories that Touratech sells, and will allow you to leave your bike unsecured for a spell. Restaurants, taco stands, coffee shops, et al. Yea, food can be found, but cooking at your campsite will save you some scratch and will likely be quite a bit healthier. A camp stove that runs on anything is important. MSR’s Dragonfly stove can be powered by white fuel, as well as the gas you can siphon from your fuel tank. It has adjustable heat, which allows you to sauté something and collapses down and fits into a small sack, fuel bottle stored separately. A mess kit is also important – think pot, cup and plate. No need to explain those items. You will, however, need something to stir, poke, pull and cut what you intend to eat. The aforementioned titanium sport from Snow Peak is an excellent option, especially with the addition of their ‘hybrid spatula.’ Lastly, a proper pocket knife, something you should already own, is essential to any camp cooking kit. A blade that is both sharp and partially serrated should handle all of your cutting tasks with ease. We like Kershaw’s Leek knife, for instance. 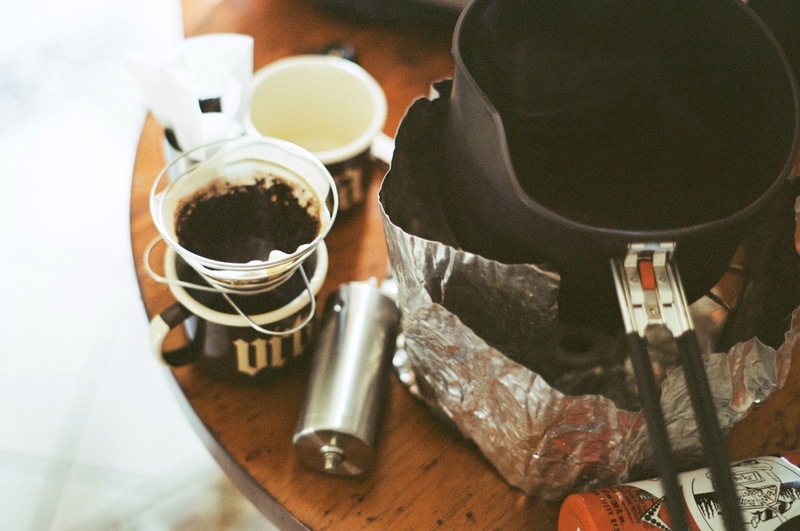 If you’re wondering why this is an ‘adventure motorcycling essential,’ maybe you’re a morning person? Or perhaps you have some kind of superpower? I, however, require one – maybe two – cups of coffee before I can function. Enter Caffe Vita - an independently owned Seattle coffee company that recently released the Ultimate Camping Brew Set. The kit includes a banet (think: collapsible wire coffee filter holder), a porlex burr grinder, two enamel camping cups and a 12oz bag of beans. The set is small and will easily fit in the same space as all you other cooking equipment.